Garden gnomes are so stinking cute. 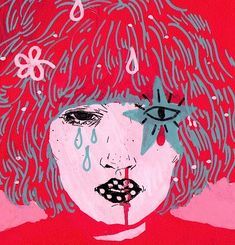 What is not love? 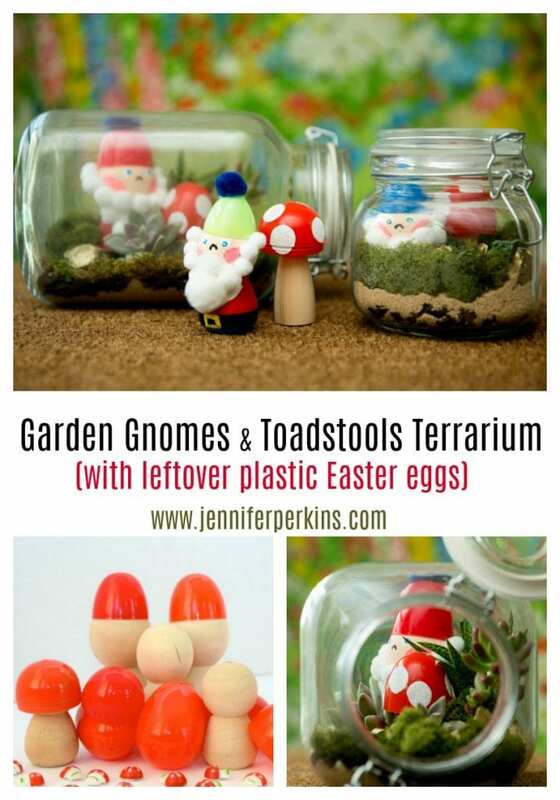 When said garden gnomes are handmade, nestled into a mason jar terrarium and a plastic Easter egg up-cycle I love them that much more. Who knew I could have feelings like this for a planter. I have a soft spot for terrariums. I’ve made them out of candle holders, used a cake stand and even up-cycled an Easter basket or two for the terrarium cause. 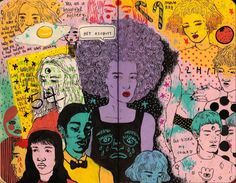 This latest spin on a classic is for DIY Network. 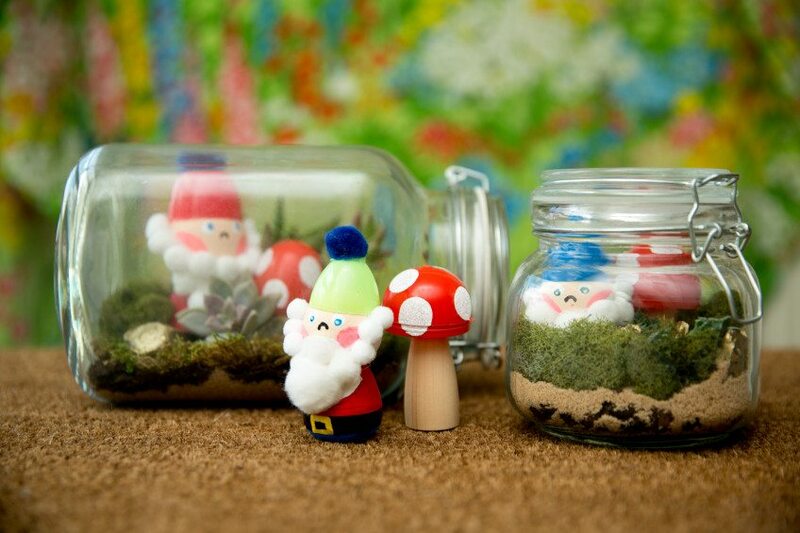 This time my terrariums include handmade gnomes and toadstools. Look closely, there is a repurposed plastic Easter egg craft there. Let’s keep up the gnome theme today shall we. 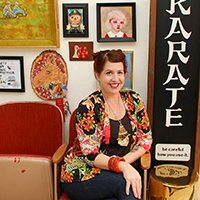 Check out this episode of DIY This With Jennifer Perkins all about recycling plastic Easter eggs. In the video I’m talking about how to transform eggs into hanging planters, marquee letters, string lights AND garden gnomes with their toadstools. I love up-cycling projects where you don’t need very many supplies don’t you! 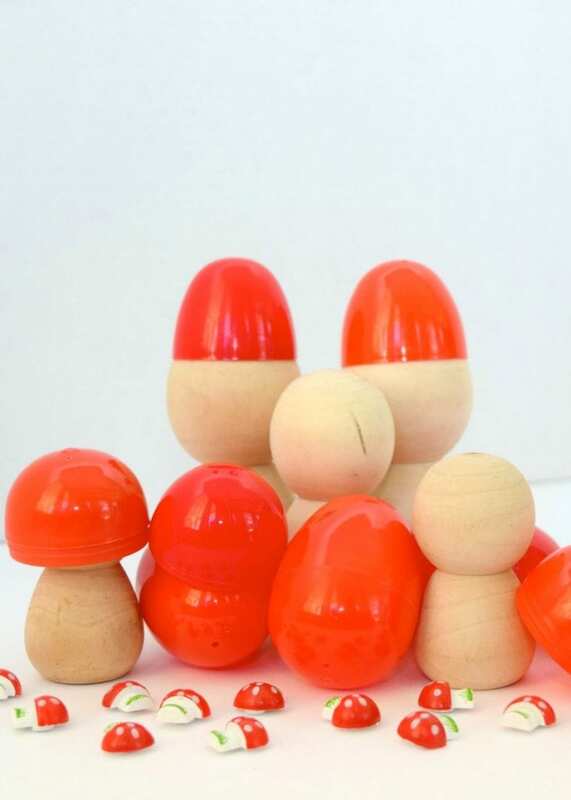 For the toadstools use craft paint to add white polka dots to your red eggs. Glue the eggs onto the wood pieces. For the gnomes paint faces and clothing onto the wooden peg dolls. Small pompoms can make their beads. Another egg is added for a DIY garden gnome hat. Fill a jar or planter with all your terrarium goodies like succulents, moss and decorative stones. 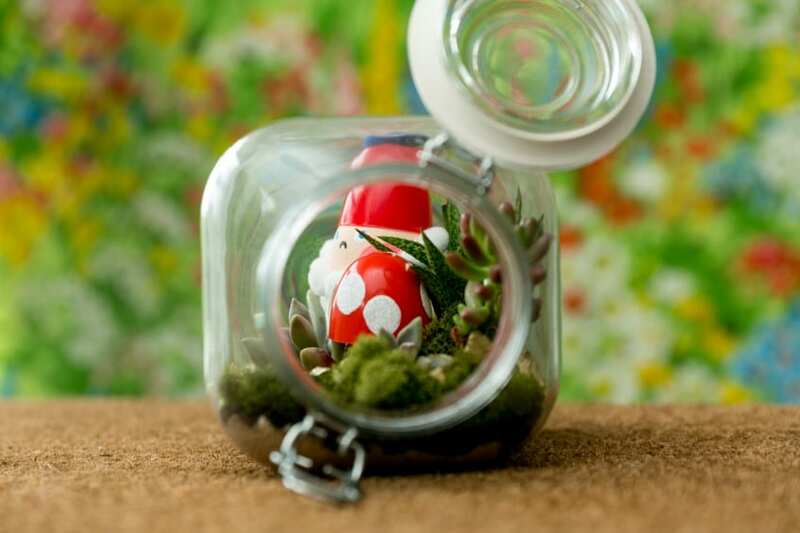 Create a habitat for your mini elves inside the mason jar terrariums. They look so cozy inside. Best use of old Easter eggs yet! 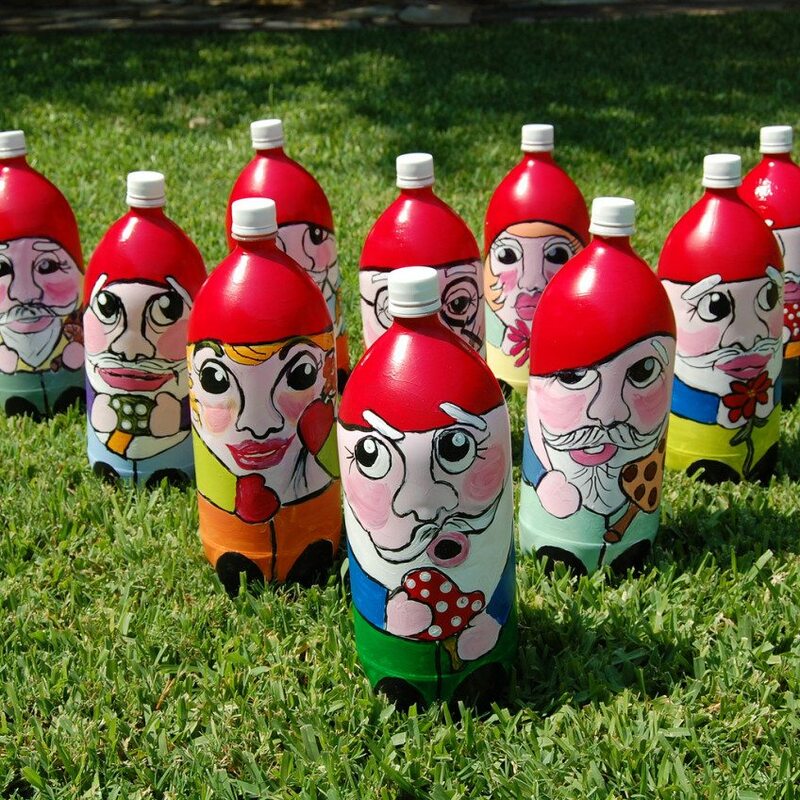 Want more DIY garden gnome inspired ideas? Keep reading! One of my fave gnome projects of all time is this DIY lawn bowling set I made. Start collecting those 2 liter bottles now for some summer fun. Oh and don’t forget the Halloween Witch Bowling version I made for DIY Network. 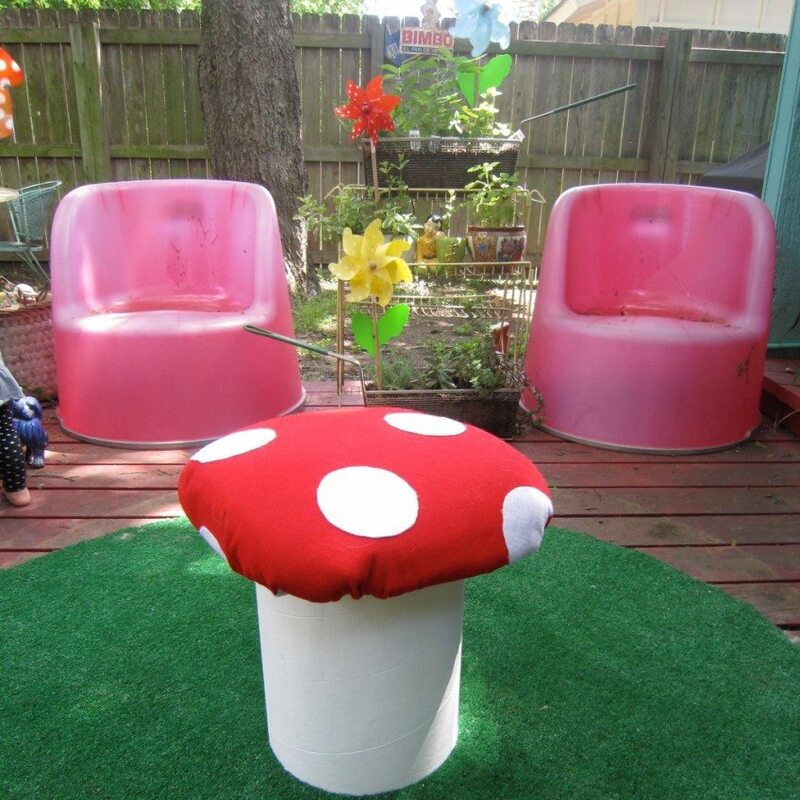 Once upon a time I made a gnome toadstool for my backyard. Did I mention this little baby is also no-sew? Ya, I’m crazy like that. I love making picture frames and dioramas almost as much as I love making gnome crafts. 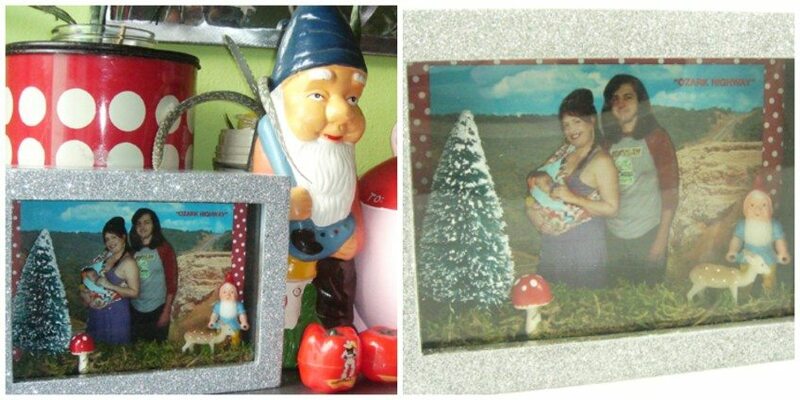 This Gnome Diorama Picture Frame is a perfect combination of the two. Posted March 17, 2016 & filed under Crafts, Easter, Holidays, Plant Crafts, Recycled Crafts. Hi, I just saw you on We Are Austin sharing your after Easter ideas. 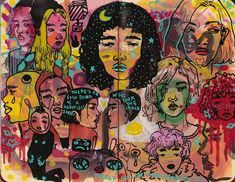 How fun and creative!! I missed the first details on the Gnomes for the terrarium and can’t find a step by step on your website. I’m just a lil confused on the gnomes body, cylinder, wood piece area. Are there 2 items needed-a wood piece and a cylinder? Where do you recommend getting them? My son and I are going to make a couple of your ideas for the grandparents. They always get stuck with so many left over plastic eggs and don’t ever know what to do with them. I know they’ll love these ideas. Hi linda! Thanks so much for watching. The wood part I painted the faces on are called peg dolls. Michaels and Hobby Lobby have them by the wood crafts. I just painted features, added the egg hat and pompoms for beards. 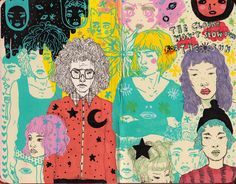 Please let me know if you try it!